“About Time” Review: Time travel movie where Time travel do not actually contribute anything to the story! Hello. This is a Korean in America. 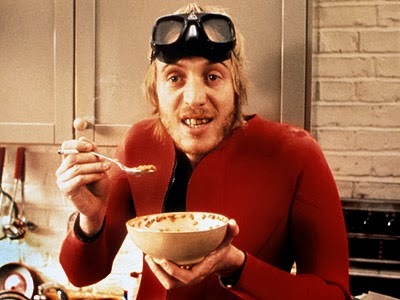 Today, I’ll like to talk about a small British movie about enjoying the Mundanity of life and a young Pasty white English bloke who somehow time travels. When you encounter a story whether it be on screen or through the written word, there are clues to how the author constructed the story. And, when you have some experience with trying to write your own stories, you have the unique let say “forensic” perspective that helps to find those clues. This is more easily done when the story is rough and does not come together as a whole. The movie, “About Time”, is one of those cases in which the process of constructing this story is rather obvious. What is “About Time” about? The quick and honest description of the movie is that it is a collection of vignettes about a person’s experience covering a few years. What I mean by vignettes is that the movie is a collection of small events in the character’s life that is wrapped together without a strong narrative plot. On their own, the individual vignettes of “About Time” are only quirky stories in which some are romantic, some are funny, and some are sad. As a whole, collection of vignettes is intended to lead to one single message. Enjoy the Mundanity of life! That single message is the whole purpose of the movie. At this point, if you have seen any type of Hallmark channel movie, you would have seen movies with similar messages. In reality, most of the holiday theme movies are based on similar messages to this one. So, you would say that, this should not be difficult to do! However, it is more easily said than done. A major difference between “About Time” and most of the holiday theme movies is that the messages are actually different. With the holiday movies, the most common message is “Stop and smell the roses”. This implies that you are currently very busy. You are actively running in the rat race. Example would be the Russell Crowe movie “A Good Year”. With “About Time”, it was never about running in the rat race or climbing the ladder of success. The underlining fact of the message, “Enjoy the Mundanity of life”, is that you are currently living a mundane life. It is just that the movie wants you to actually enjoy having a mundane life. You can see why this is actually very difficult to do compared to the message, “Stop and smell the roses”. In some ways, it is a very English message. Seeing the movie, it is obvious that the movie started out with the idea of making just a simple vignette movie about enjoying the Mundanity of life without the notion of time travel. However, it seems that the writer could not really make it work. He may have struggled but could not make it work. In order to try to make the story work, it seems like the time travel aspect was added in later drafts of the script. Evidences of this can be seen throughout the movie. First, the time travel aspects were never really developed. In “About Time”, the mechanism of time travel does not make sense. I do not mean scientific sense. I am talking just in terms of basic storytelling 101. The time travel in the movie is a basic consciousness transfer in which you slip into the body of your past self. It is initiated by the going into a dark cramp space like a closet. In the past, the character ends up in a closet also. Enter closet in the present and exit closet in the past thing. However, the problem is that the character’s past self never actually entered the closet in the past. So, why is the character in the closet when the time travel happens in the first place? They are various other problems with time travel mechanisms throughout the movie. Oh, this is starting to sound like a gay metaphor but it is not! Second, the time travel is never fully integrated into the movie. Time travel only comes into play in the movie in the beginning and is only really sparsely used after the first act of the movie. If you look closely, except for a few random time travel specific vignettes, you can totally remove the time travel and end up in the same place at the end of the movie. A consequence of this lack of time travel development is that our protagonist seems to be an idiot when the vignettes involve time travel during the first 20 minutes of the movie. I know he is intended to be clumsy and not well coordinated in social situations. But, when you include poorly conceptualized time travel into the mix, his actions is nothing else than pure idiocy. No one with half a brain would act in that manner and he is a lawyer in the movie. In addition, the movie does not seem to understand basic biology. Going back to the point of the writer couldn't make the story work, there are a lot of problems with the movie other than the clunky time travel element tacked on the script. 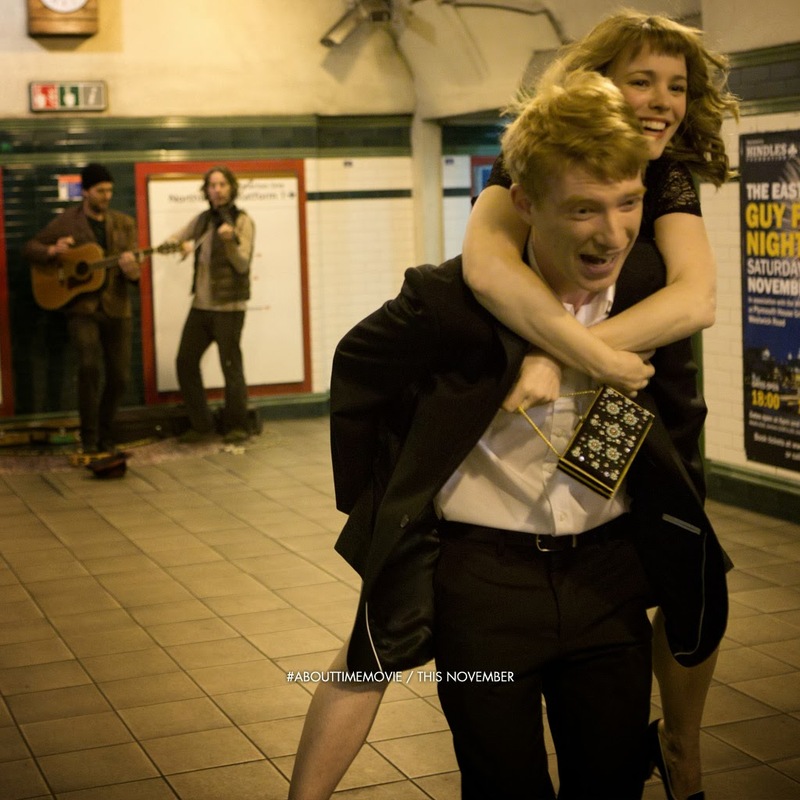 “About Time” is written and directed by Richard Curtis. His other works include “Love Actually”, which he wrote and directed, “Notting Hill” and “Four Weddings and a Funeral “, which he wrote. 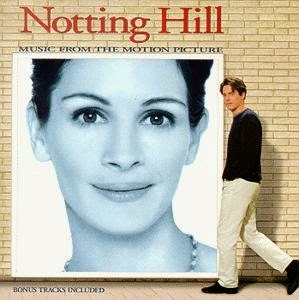 You can see from his body of work, Richard Curtis has a thing for vignette type storytelling. 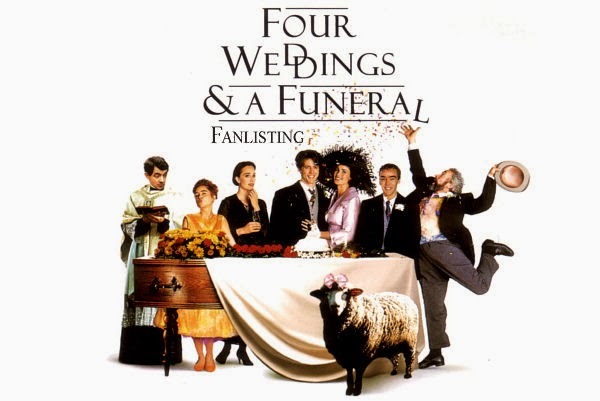 For example, “Four Weddings and a Funeral “ is all about the small stories that occur at the weddings. However, most of his movies, whether he directed or wrote, had a narrative structure even though they were relatively weak ones. 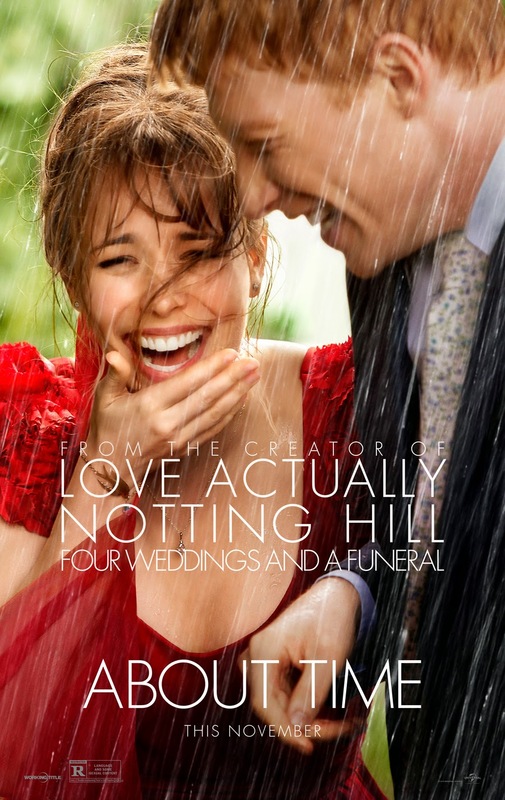 In “About Time”, there is barely a narrative plot. Unlike “Four Weddings and a Funeral “or “Notting Hill” in which the protagonist ends up with the girl at the end, there is nothing like that kind of structure in “About Time”. This seems to be the main problem with the movie. Without a solid narrative structure, Richard Curtis seems not to make script work. First, “About Time” ends with the protagonist claiming that he learned to enjoy the mundanity of life. However, not only does the summation of the vignettes not really lead up to this but also most of the individual vignettes are not very interesting on their own. Second, none of the side characters who flow through the vignettes actually contribute in terms of either story or emotional build up. They are just there. If you have seen a Richard Curtis film, you have seen other versions of these characters. However, the characters in this movie have nothing to say at all. This is the shame since the characters were the best thing about a Richard Curtis film. Finally, the dialogue is rather not good for a Richard Curtis screen play. I would not say that it is terrible. However, none of them flow like his previous movies. It is like most of the dialogue was written on his very off days. The direction and cinematography nothing to call home about but are passible. The acting is not bad given the material the actors had. However, Domhnall Gleeson and Rachel McAdams do not have much chemistry. 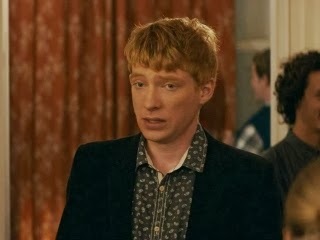 Domhnall Gleeson is not bad in the movie but does not seem to be leading man material. He is one of those actors who need to be constantly fed with material to be interesting on screen. When he has not much to do on screen, he is rather dull to watch. In other words, he is no Hugh Grant! 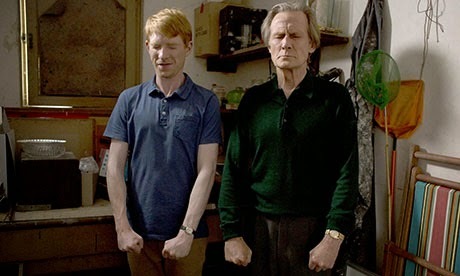 Domhnall Gleeson seems to be only casted because he looks like a geeky son of Bill Nighy who is the best thing in the movie! Rachel McAdams seems to be getting close to the age when she needs to play other type of roles. At the end, what more should be said? I saw this movie because of the excellent trailer which really seemed portray the movie to be a great Richard Curtis movie. It hit all the notes and had great charm. The actually movie was nowhere close to the trailer. I would have to say just rent the movie from RedBox! You may not really like it even then. Totallly agree with your vision of super hero movies. They are all copycat and the psychology of the characters has become to exotic for me to even care. They are really here to play on the political fears of the Americans and their insecurities because of the changing world. A lot could be done in terms of storytelling with this, cause it's an interesting topic but we stay at the level of an ignorant teenager. As for realism, I can forgive a lot... But just have a guide of what is allowed in your universe and what is not. You can't twist the rules just because you can. You point out that super-hero movies are copying tropes that are already hack cliches,...but you then try to use that as a special case against super-hero movies. How can the problem be particular to super-hero movies, when the tropes are copied from elsewhere? Surely the origins of these tropes MUST be at least as mired in the same difficulties? Why look at super-hero movies in isolation? The Star Trek reboot commits all the same sins, as do the majority of recent blockbusters,...so why single out super-hero movies? Also: "An argument stands or falls on it's weakest premise." Siegel and Shuster were 16 when they met, not "pre-teen". Siegel hammered Superman into a shape we'd recognise when he was 20, and he eventually sold the idea when he was 24. Even if the inspiration for Superman lay in Siegel's childhood, that inspiration was filtered through the experiences of adolescence and young adulthood, and considering that Siegel's adolesence and young adulthood occurred during the great depression, I imagine his outlook was somewhat more mature than people of a similar age in the USA today. I think you've mistaken a problem that most mainstream blockbuster movies suffer from at the moment, for a problem particular to the super-hero genre. If there is any one particular problem with super-hero movies, then it is the fact that the market is heavily over-saturated with them, which magnifies their other problems out of all proportion. Well, my argument was more specific to this movie. The tropes thing... the same thing happens with other movies. However, it is the balance with the other elements. Superhero movies with too large scale and too small scope just emphasize the fact that the tropes are ridiculous. So, reduces the suspension of belief. The "pre-teen" element of superhero genre is the over evaluation of the individuals reach in the larger world. In a larger context, an individual needs to use organizational backing and infrastructure to do stuff on a larger scale even if that person has super powers. Team up does not count. So, take it as a grain of salt.